I had just been rejected by Ereader News Today for the second time in two months. Something in me snapped. But when ENT declined to promote Fascination again last week, I decided I had to find out why. So I appealed the decision. I described my history with ENT — three novels in three years, all with successful campaigns via ENT — as well as my earlier publication history. Parts Unknown. William Morrow/HarperCollins. I’m not a shoe salesman who decided to “write up” this great idea for a novel I’ve always had. But clearly this is meant in a general sense and they have begun to filter their submissions this way, probably because they’re swamped with submissions. ENT is one of the few effective and affordable promotional outlets around. I can only put it like this: indie writers need reviews. If you haven’t reviewed Fascination yet, please do. It doesn’t have to be detailed, and it doesn’t have to be a five-star. We’re looking for raw numbers here. And if you haven’t bought Fascination yet, please do. Or tell someone else about it. Or give it as a gift via Amazon (easy to do). This goes for any indie book you read. It’s just a fact now: the author can’t promote the book without some reviews in the can. And she can’t get a lot of reviews in the can without promoting. A vicious cycle? You bet. It’s become a vicious business all around. Fortunately, this time, Bridget came through for me and plopped Fascination into an opening that had come up for Tuesday. Her willingness to hear my case and overturn her decision is going to keep her in my esteem for a long time to come. I also appreciate that she got back to me quickly on a Friday afternoon and made the schedule change pronto. All of this is to alert you to two things. One, if you’re an indie author, you can’t put too much emphasis on reader reviews. 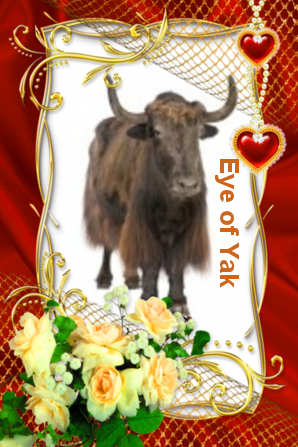 They act as bona fides for new readers and for promotional outlets. If you’re a reader, give the gift of Amazon reviews. They will keep on giving. And two, Fascination will appear on ENT’s Literary Fiction list tomorrow. Buy through their link to help them make a little money on the sale. 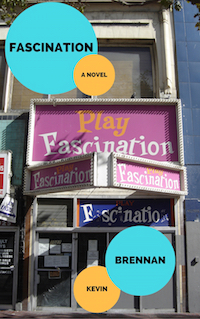 If you can’t wait, go ahead and buy Fascination today for 99 cents. The discount runs through Wednesday. This has always been, and always will be, a chicken/egg conundrum … You can’t get promotion without existing reviews/ you can’t get reviews without the promotion. You’re fortunate to have dealt with someone who will bed the rules in your favour. I have already shared this post on FB, but will now do same on Twitter and reblog on my own blog to promote this special. Hoping that will help. Pretty clear that the promo business is changing. I had no trouble with my first two indie novels, both with few reviews when ENT ran them, but now it’s more competitive. 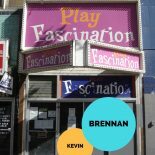 From author, Kevin Brennan, a conundrum … and a special on his latest novel, Fascination! ‘Preciate it, Susan! Important to be aware of these unstated criteria that can make or break a book. Glad to hear you’re getting Fascination on ENT. It was the only promo opportunity that actually worked back when I published Bridgeport. I don’t know why, but I’ve had no luck with several other services, some costing $50 and delivering zilch. Fingers crossed for this one! That’s an interesting story but glad it had a somewhat happy ending, that’s good. Thanks, Bill. It’d be nice to move a few copies! Great news! They decline my last request for RC&R because they had already done promos for that book four times and said they had to give other authors a chance. I shrugged and moved on. They declined my first request for NA d/t lack of reviews when I had ten, but accepted it when I had seventeen. So there must me a cutoff somewhere in that area. Glad you got it up there. I think it’d be a courtesy for them to revise their written policy, though. My whole strategy might have changed if I’d known I needed 10 to 15 reviews before submitting. They told me that about RC&R the first time I submitted to them. At that time they actually stated 12 “Verified Purchase” reviews were necessary. I sell more paperbacks in person than I do online. So it really bites, but at least most of those who in person write reviews, because I plead with them and grovel. Seems unfair to require Verified Purchase reviews. There are lots of ways someone might have read a book, including via libraries, not to mention personal paperback sales. Groveling seems necessary these days! What Susan says about “Verified Purchase” is frustrating. At least a couple of times when I’ve posted reviews to Amazon about books I had purchased through Amazon, the Great Monolith didn’t slap the “Verified Purchase” label on my review. Don’t know why, and I don’t have time to deal with their form of bureaucracy. Just saying ENT shouldn’t put any weight on that label. Glad you were able to resolve the issue with ENT. Good luck and goddess bless. Anything that’s run by algorithms is gonna flub up sometimes. On one hand, I see the value of the Verified Purchase label, but I don’t see why other buying avenues aren’t legit. How ’bout a Verified Read label? Congrats. ENT is the best promo source. I must say I did all I could. Above and beyond, John. ‘Preciate it! Yes, I like to use that “intro” to share on Facebook. It might be lazy, but why should I try to improve on the perfect words of someone else? I very much appreciate those that take the effort to write my reviews. Thanks for your comment, Anthony. I agree completely. Great link too. Writing reviews can be easy, and in fact the short but sweets ones are often more important than the longer ones. Thanks for the link, Anthony. Some really good points on what to comment on in a good review. 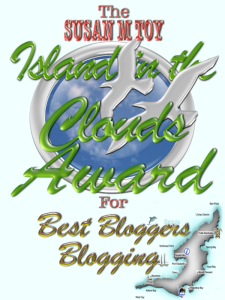 I wish more readers would be willing to contribute short but sweeties! Most potential buyers, I think, are looking for some kind of consensus, so they’re more tuned into the star rating and a sentence or two on the yay or nay. Easy, no? Thanks for the reblog, Graeme! I don’t think I quite appreciated how crucial it is from the promotional angle to have as many reviews in the tank as possible. But I do hope that readers come to understand it’s easy to cast a vote for a book that can really help propel it into the marketplace. My pleasure, Graeme. And best of luck with your writing! Thanks, Janice. And thanks for all those reviews you’re doing! 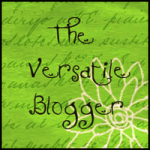 I am a great believer in sharing my love of books and what better way than to write a review. It’s a shame that ENT. (unfortunately their initials remind me of the ear, nose and throat clinic in hospital! ) 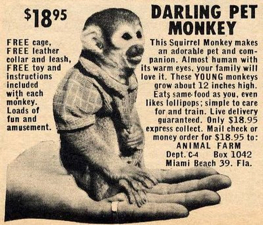 have this verified purchase and other such tough criteria. I do hope you are successful in gaining more reviews. Thanks much, Marje. It’s shame that things are being made MORE difficult for indie authors, but I guess that’s the way the cookie crumbles. And yes, I think ENT should change its name! I agree Kevin.I hope to join the ranks of indie authors this year. In the meantime I am doing what I can to support folks by doing new features – an author spotlight, author interviews, as well as my ancient reviews. We feel your pain. Great post! 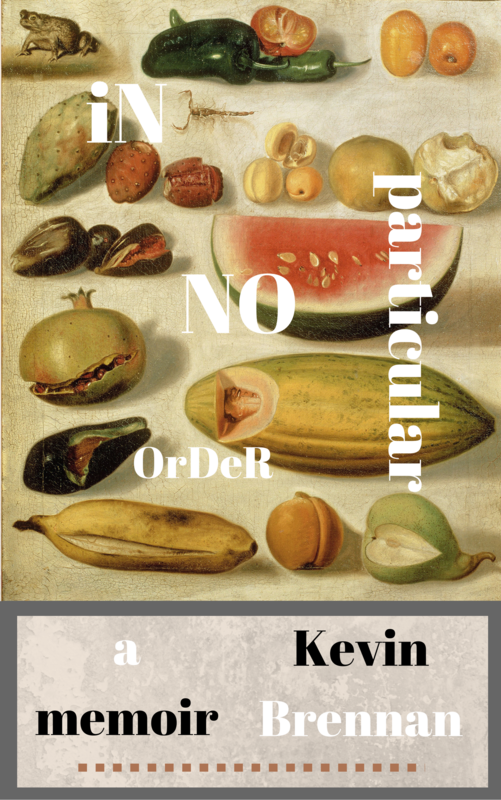 This entry was posted on January 9, 2017 by Kevin Brennan in Publishing and tagged Amazon.com, ebooks, Literary fiction, marketing, Publishing, self-publishing.